Videos of Flick 'em Up! Watch It Played - Come learn FLICK 'EM UP! Dice Tower Reviews: Flick 'em Up! Board Game Brawl Reviews - Flick 'em Up! 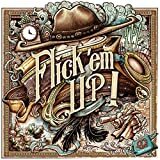 Dicey Exploits Reviews: Flick 'Em Up!